Last night in the House of Commons a number of amendments to the Government’s Brexit vision were voted on; we’ve seen mixed reactions from the the markets since. 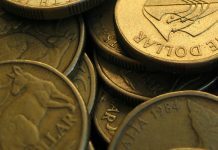 The Pound to Aussie Dollar exchange rate has dropped from its higher levels seen earlier in the week, making the outlook for exchanging AUD into GBP more attractive. The House of Commons voted against five of the seven amendments chosen by the Speaker. The headline from the evening of voting surrounds the Brady amendment which suggests that Parliament would back PM May’s deal if there is an alternative arrangement surrounding the Northern Irish backstop. It was the Northern Irish backstop that’s been mostly attributed to May’s vote loss earlier in the month, as concerns of Northern Ireland being treated differently to the rest of the UK resulted in her vision being voted against by a record number. Since then, the chances of there being an extension to the UK’s divorce from the EU have increased and this is why GBP exchange rates have climbed in recent weeks. 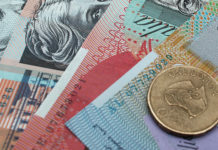 The sell-off vs the Australian Dollar yesterday is due to British lawmakers voting against a proposal in Parliament aiming to prevent a ‘no deal’ Brexit. Although it wasn’t legally binding the markets have reacted, but GBP exchange rates remain close to the top end of their recent trading levels. 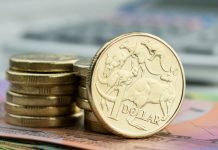 The Australian Dollar has remained under pressure since the trade talks between the US and China took a turn for the worse, owing to the arrest of the chief financial officer of Chinese telecoms giant Huawei. With China and Australia being key trading partners it’s likely that the AUD will be negatively impacted until this matter, along with the trade talks arrangements have been resolved. In the early hours of tomorrow there will be some Australian data releases that could impact the markets, so do feel free to register your interest with us if you wish to be updated in the event of a major market movement. The data due out is Import and Export data so depending on the results released, the outcome could move the markets. Feel free to use the form below to request further information or to ask another question about an upcoming currency exchange, I’ll be happy to contact you personally and discuss your enquiry. Next articlePound to Canadian dollar forecast : GBPCAD rates lower on No-Deal Brexit Fears!